The report finds that 60 percent of individuals with disabilities in Michigan want a job in their community, but only 17 percent of them have one. Most of those who are employed – over 8,000 Michigan citizens – are earning below minimum wage and making an average of $2.75 an hour. The Michigan DD Network calls on the Michigan state legislature to enact Employment First legislation that recognizes and assumes that individuals with disabilities, with the proper supports and accommodations, can earn a fair and prevailing wage alongside individuals without disabilities in fully integrated settings. 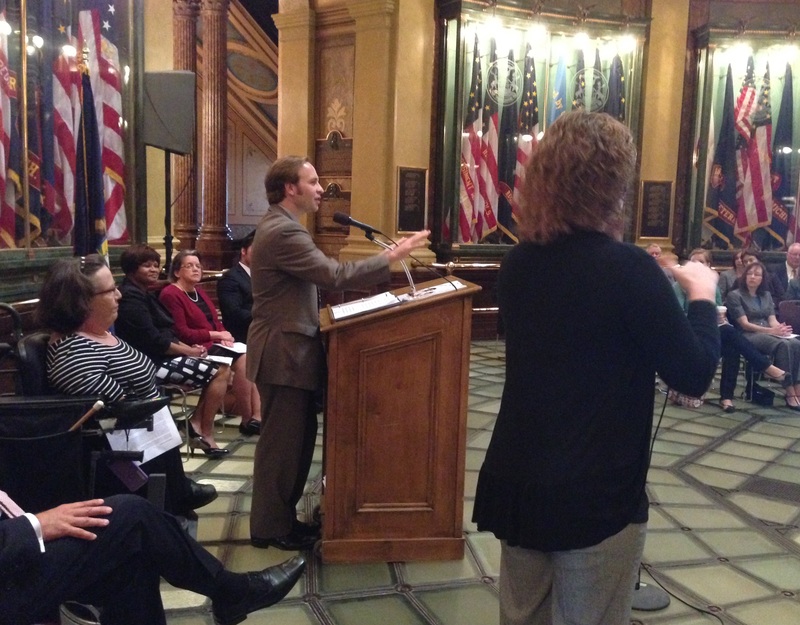 Read more about the event and the report from the Lansing State Journal and Michigan Public Radio.